Industry In The Streets is back at the Roundhouse this February to deliver another ground breaking project. 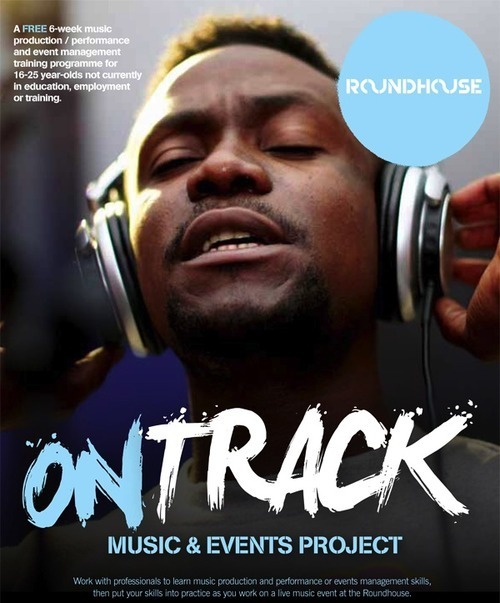 OnTrack is a FREE 6-week programme for 16-25 year-olds not currently in education, employment or training. Having worked with the amazing RH team to develop the project in 2010, Fusion, Funk Butcher and Spider J are back to put the skills of young event managers, performers, music producers and DJs to the test as they work towards delivering a live showcase in the prestigious Roundhouse Studio Theatre. There will be plenty of chances to build skills, collaborate, network, quiz industry guests and explore placement opportunities. Definitely one not to miss. Shouts out to Jess, Oli and the whole team – Roundhouse and IITS is always a kicking combination!